This category of our store contains accessories and parts for soldering aid presented in this category. 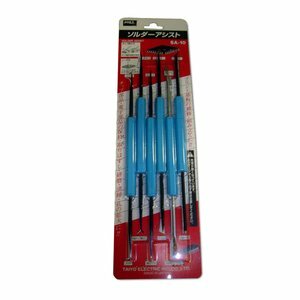 This kit contains specialized tools you need for soldering: Assisting rods for P.C.BOARD soldering work. Individual Packing: Blister card. 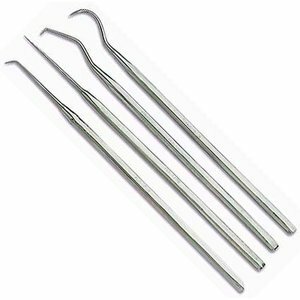 4 pcs stainless steel single-ended probe that can be used for all kinds of precision work in electronics. Straight, angle, hook and curved tips. Packed in a vinyl pouch. 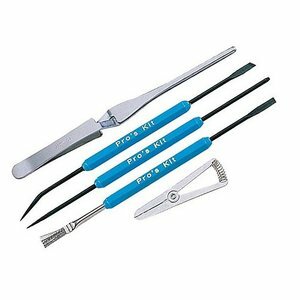 This kit comprises of the specialized tools you need for soldering: a heat sink to protect your heat-sensitive devices, knife and brush, scraper and hook, fork and spike. 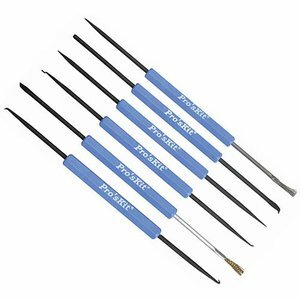 Convenient auxiliary tools for repair, assembly and disassembly opeartions in the process of soldering or desoldering the electronic components. 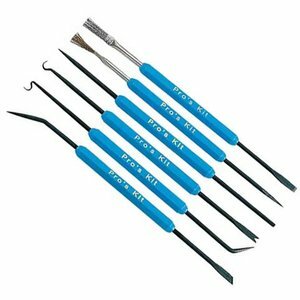 This kit contains specialized tools you need for soldering. Assisting rods for P.C.BOARD soldering work. 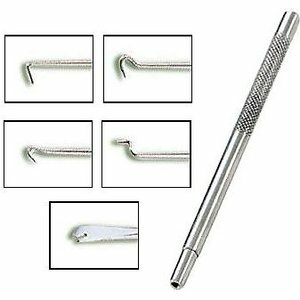 5 different hooks which can be screwed into a handle.